Thank you for joining me this week! Welcome to all and thank you especially to all Patreon subscribers of the show. You are the ones who keep the show on the air week after week! 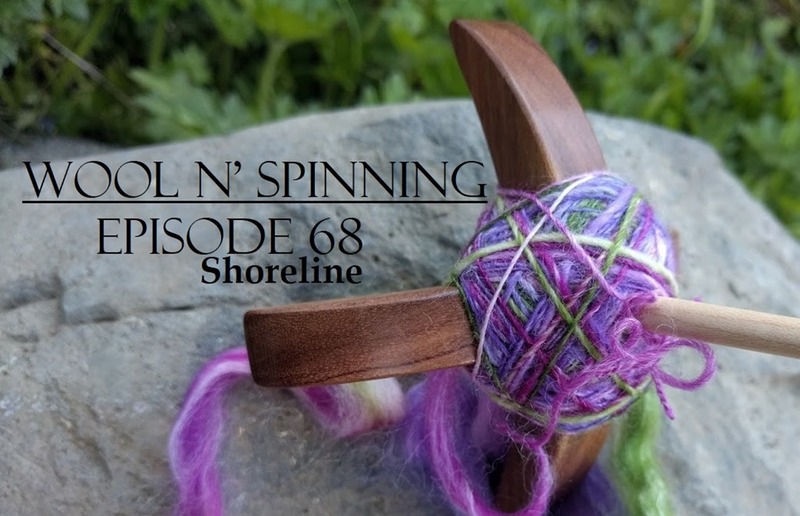 This week, I quickly recap my spinning projects which are slowly seeing some progress. I have made significant progress of my Shoreline vest and chat about alternating skeins when they are indie dyed. It’s an important thing to remember – something I forgot! Have a wonderful week and I hope you enjoy the show! SweetGeorgia Yarns Spinning Socks Six Pack spin in progress and corespun spinning from Nov 2016. I’m looking forward to starting on our next study, which combines colour and breed into one! This is now open to everyone and hope you check it out here. We have started a Stashdown SPAKAL in the Ravelry group.